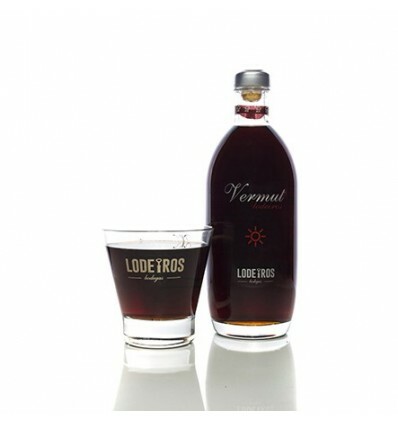 Red Lodeiros Vermouth, a Vermouth made in Galicia. Mahogany clean color. The nose is fragrant and intense, highlighting the aromas of herbaceous notes of marjoram, sage, sagebrush, cinnamon and vanilla. Very aromatic but fresh. On the palate, the entry is round and consistent. The finish has a spicy and herbaceous aftertaste with a bitter aftertaste with sweet notes.